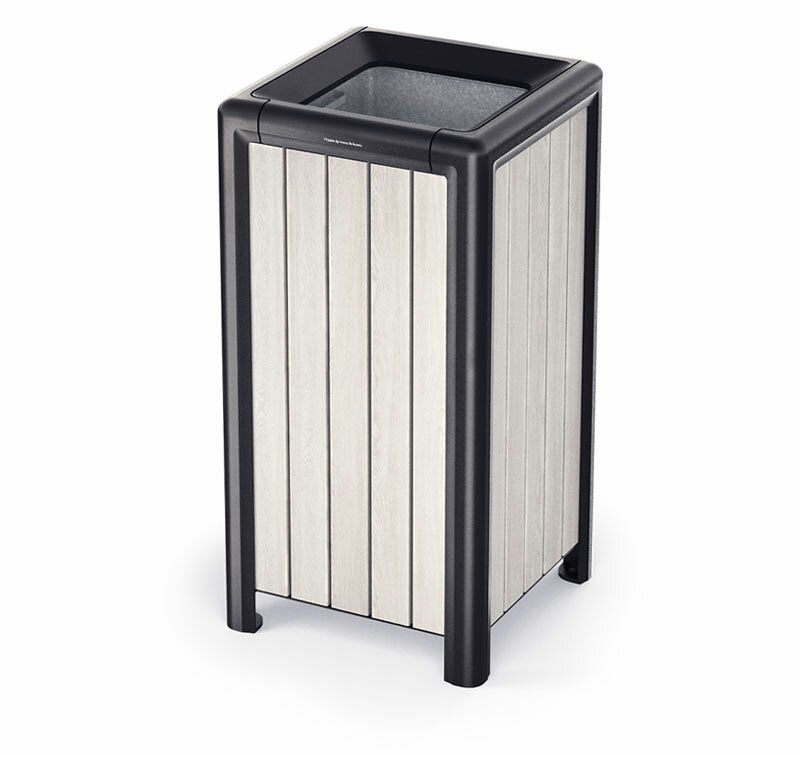 Task: to develop a trash can for the studio’s line of street furniture. 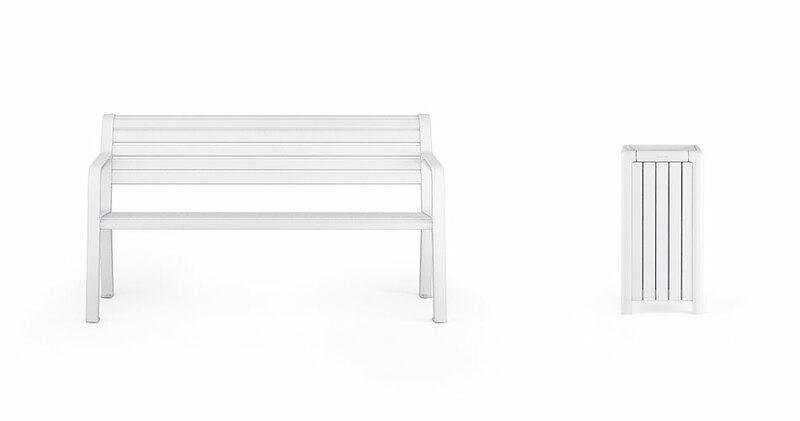 Urnus-8 is a trash can for city streets and parks designed to complement Skameikus-4 bench. Urnus-8 has a metal frame covered with wood-polymer composite, and a hinged lid. Inside there is a zinc-plated container held in place by the lid. 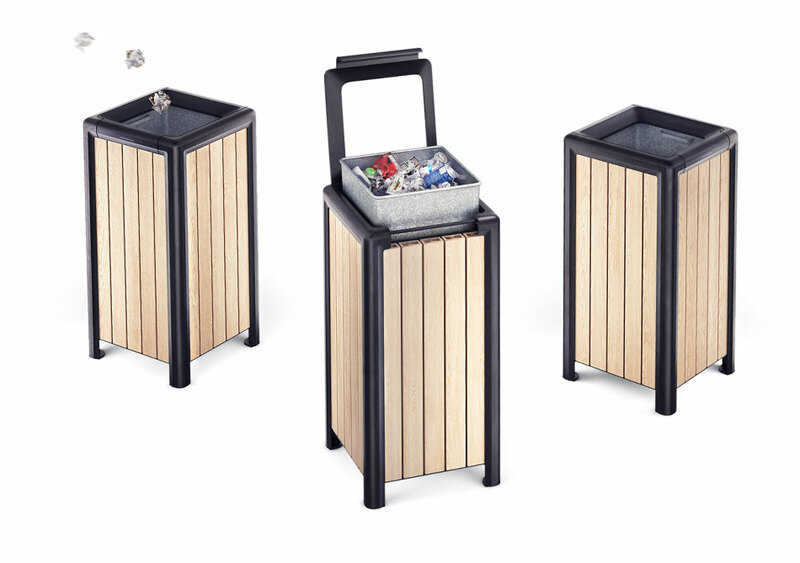 The bin is 655 mm (25.8″) high and 350 mm (13.8″) wide. Metal parts are cast from cast iron and covered with corrosion-resistant powder paint. The finish is made from light-colored wood-polymer composite—for instance, larch-colored. Urnus-8 is fixed in place with anchor bolts.